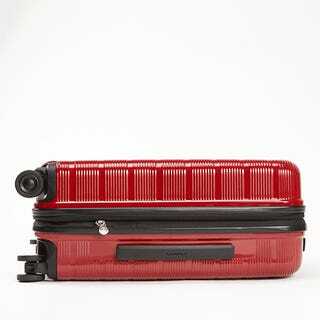 eBags has a new piece of flagship luggage, and it’s very nice. But what I really want to talk about is its ingenious system of built-in packing cubes. The compression cubes in action. For comparison, my Away Carry-On’s compression sleeve, while still more useful than the simple buckle found in most suitcases, is too thin, rigid, and large to be practical for actually storing small items. It’s the one thing about the bag that I don’t like. But eBags’ solution is nearly as good at compressing your clothes, while also serving as useful storage. My one nitpick: I do wish the cubes weren’t sewn into the lining of the suitcase—the toiletry bag in particular would be useful to detach—but fewer buckles and zippers likely means the bag will have a lower failure rate over time. 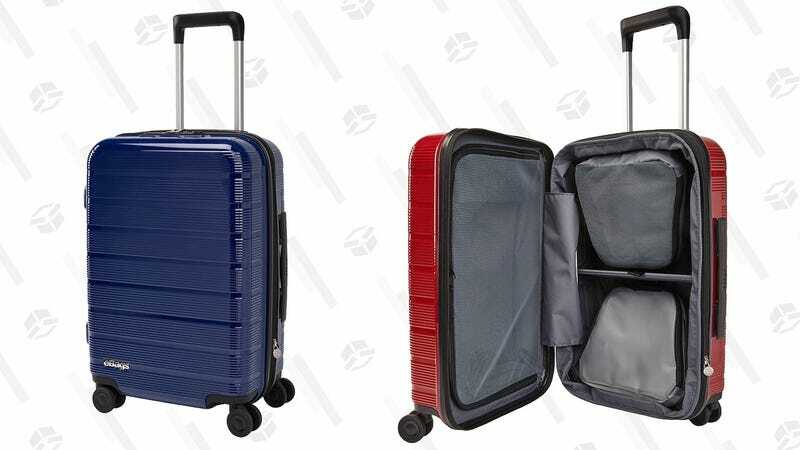 Beyond the packing cubes, the Fortis Pro is just a really solid all-around carry-on, with all the features you’d expect at its $220 price point. You get a built-in TSA lock, a durable polycarbonate shell (it popped back to form rather violently after I stepped on it, as you can see in the video below), and even smooth gliding Hinomoto spinner wheels; the same you’d find on Away’s bags and other high-end luggage. It doesn’t have a built-in battery, sadly, but you can provide your own with the dedicated passthrough charging pocket, which is a decent compromise that we’ve also seen from the likes of Travelpro. So did it make a convert of this longtime Away owner? Not quite. I prefer the matte look of my Away bag to the Fortis Pro’s shiny finish, and I don’t want to give up the built-in battery. But dammit I will miss those built-in packing cubes.